Letters from Launna: How Do I Trust Me? Me surpreendi com aquele antitranspirante! Ele é muito bom! Launna, sei como é difícil quando temos a confiança abalada. E é ainda pior quando não confiamos em nós mesmos... Acho que a única solução para isto é o tempo! Porque nada melhor do que esquecer o passado para fazer um novo futuro. Dear Launna, it's impossible to think positively all the time. You have been through so much hardship that now you will go on. Tons of love! Dear Launna, God loves you just the way you are and although all these feelings might be overwhelming at the moment, take all your cares to Him and receive His peace. As a man thinketh, so is He. If you think you cannot, then you won't. If you think you can, then you will. You can do ALL things and I believe you can begin to trust yourself. You are so right, you cannot fake trust and once your trust has been broken it's so difficult to fix it. I did something in the past that broke the trust of the person I love most in this world. And even though I ended up making it right and 'all is forgiven and forgotten' I'm not so sure if that person will ever trust me again like before. And it kills me. I hear you. I personally think trust, like most everything else, is not a black & white thing. I often don't trust myself either. but I have days, moments, when I do. as to trusting other people. that's similar and totally different at the same time. I trust some people with some things. some of the time. some really big things. but do I trust anybody 100%? will I ever be able again to trust someone 100%? I honestly don't think so. and unlike you, I don't even want to or try. way too much risk that I'm not willing to take. which is most likely not the most mature way to look at it, but it's where I'm at right now. I have my guards up. not enough to not let anybody in, but enough to keep me somewhat protected. which works fine. for now. and maybe I wake up one day in the far future and realize that I have allowed myself to trust again. maybe not. but whatever it may be, I won't let this define me either. we're all perfectly imperfect. and I'm totally fine with that. melhor ótima postagem, tenha uma semana abençoada. I trust that you'll find a way through these shoals. there is a quote by Goethe - when I trust myself, I'll have learned to live. Truth I think. Hugs Launna. Stay strong out there and live your best life. You deserve that. We are our worst enemy. We are stubborn. Hate change...all those sorts of things. But think of all things you have endured and made yourself stronger about. This..well..THAT FAITH..which was so easily to trust years ago. I remember now how I was much more gullible to ride it out..then ..than I would now. Yes, we are fragile. Yet we are keener to see things coming undone miles away instead of inches. And then there is always that MAYBE. I'd keep asking questions. Its OK to question yourself. There are often times when I can not make important decisions by myself, because I think I can make mistakes, and I do not trust myself... in those moments I turn to my mother or my husband, the only people to whom I trust blindly. You are a great woman Launna, trusted you! Launna, I'm sorry to hear you are struggling with this. I don't have any good advice for you except to say to just take your time and do the best you can each day without trying to project what will happen from it too far into the future. You are a strong, kind, intelligent, and generous person. I think your confidence and trust in yourself will return. I think most people struggle with this issue at some point. Aww...Launna, so true. Yet we do have to try again and again. All the best! Everyone operates differently. I always want to make the right choices but I'm most comfortable with faking it till I make it and then taking it head on if I couldn't fake it one more minute. That let's you not worry about it in the moment and then have less of a time dealing with it once facing it head on. I'm not going to say fake it and think positive at all, I'm exactly the same as you. I don't trust people. People have let me down so much, to the point where I am always suspicious of every new person I meet. But I think the difference is I don't see it as a bad thing. Having your guard up is a good thing and being this way helps you to make sensible and safe choices, so perhaps try to accept that this is who you are now and life lessons have given you this gift of being wary, so simply own it. You are a really nice person and very thoughtful of others, so I see absolutely nothing wrong with you guarding yourself. It's a prevention technique which should allow you to really focus on yourself and be happy. Don't worry about it, it is what it is and it's not bad. There's a lot of bad people in this world and we will always come across them, so what you do is better than being used and feeling a fool all the time. I often do not trust myself, but I try to reflect and evaluate my situation and ask my mum. I think you have to evaluate each situation with so much positivity and in my opinion you're a beautiful and great woman and you can do it. I believe in you... ALWAYS! I think you are very broken inside, Launna. You realized you're blessed in so many ways and yet, something inside of you is holding you back, your own demons that you need to find away to pack them in a box and seal it forever. I don't have any words of comfort...this is a battle that you need to find a way to overcome yourself. And you will, hugs. Launna, I noticed you were quiet lately!! But girl, I think everyone feels the way you do time to time... we put things off, we make promises for "later" or "next time" but we're not perfect. We often fall short of our word (even to ourselves!!) and depending on the circumstances it's okay. If you've got goals set, and you haven't been able to reach them, rest assured that "next time" WILL come. Just keep trying. Keep believing in yourself!! Hugs my dear. We all feel like this sometimes. Sorry to hear that this is still a struggle for you, Launna. I honestly, truly wish you can soon trust yourself fully as I can see how awesome you are and I know you're bound to do amazing things. Be brave to overcome all situations. My grandma used to say that trust starts in our childhood. However I have seen people loose trust and gain it back. It all depends on how we handle life and who we run into. I wish that every one comes across people they can trust, at least one person who never hurts them. Trust is one of the most difficult things to gain when broken, I've trust issues too, because of things I've been through. But I do give people the benefit of the doubt sometimes. Its not easy, even when something good comes your way, you question it in your head. Hard to be honest, but working on myself gradually. Yes, those five small letters that make the word trust do not always come easy, but we surely have to try, no matter how hard this may be at times. I have heard that trust and respect are the most difficult, and I empathize. Sending you much love and warm hugs. Trusting yourself is so difficult sometimes, and I still struggle with it. I know you can do it though! I always trust myself, even though I have sometimes made poor choices. I trust myself more than I trust anyone else. I know I am doing the best with what I have at any given time- knowledge, energy, resources. Even though things haven't worked out, I don't blame myself for it. I am not responsible for others' choices and behavior. I am responsible for my choices, actions, and knowing WHY I made the choices I did. And I have great compassion for myself because this stuff is hard. Life throws curve balls and nothing is really guaranteed. All we can do is our best. Hugs. Launna, I totally understand that feeling positive all-the-time seems impossible and very hard. But accepting your feelings can help you ease that pain to some extent. I know it is so hard sometimes to feel better or feel good as if everything is normal in life, but you don't give-up. You have come this far being so strong and positive. Just take some time and let those emotions settle down. But don't give-up on your hope and faith. Dear Launna, trust and self trust is a big issue. I can't teach anyone something on this matter but I think that we - I- - should trust a bit more ourselves... It can help. Launna! Corujas são lindas! Queria ter uma de estimação! hahaha! Mas como isso não é possível, me contento com itens como aquele brilho labial! I'm sure you can handle this Launna. Having trust issues on yourself is difficult and not being able to trust yourself is alright. We're only human and that's part of it. I have moments wherein I also don't trust myself and what I do is cry it all out at night. Then pretend that nothing is wrong. But then, I always talk to my closest friends or to my mom and that helped me resolve some issues and then I trust myself again. I hope everything works out for you. I can relate to how you feel Launna. Although I do trust myself more than any other human being. I always second guess people's intentions. Just ask my husband. He is very trusting which is not always the greatest thing. I always think there's a catch to people's motives. I think it's a battle we have slowly overcome with the right people in our lives. Thank you for all of your well wishes Launna. You should know it has really helped a lot. Oh Launna... I totally understand you...there´s absolutely nothing wrong to feel like that! Life is, really, learning, hitting your head against the wall and rising. Not to all, but when you are sensitive...and really thinking life! I mean.. I would call you "old soul", because you are thinking deep. You know, me too :). Sometimes it´s tough but you know...after this you can feel joy even more. Love you xoxoxo and let your feelings come...you totally are up to those...growing pain...maybe? Ciao Launna, I wish you a lovely day! Hmmm. Yes, I think you have to trust yourself and feel like you've got it together before you can open up and trust someone else. I just found a meme on Facebook. It said something like, "Pain changes people - it makes them shut people out and trust less." I think that's a danger when you're going through tough times - you shut people out who might be able to help you. It's hard to know who to trust, though. Hugs! I love that you're keeping it real and not faking it till you make it. For to lie to one self would just be unforgivable. Sad that it may take time but you are ready when you are. One baby step at a time and I have no doubt you will get to that place where you start to trust yourself again and then learn to trust others too eventually. It's very hard to regain broken trust. Our destiny is in our hands and I know you have the strength in you to rise and take charge. Time. Time. It will happen. Rooting for you beautiful. Launna! Normalmente as pessoas não gostam de batons marrons! Mas eu particularmente gosto bastante. Sometimes people reveal themselves to us in order for us to move on with our lives. The universe has a plan for each of us and sometimes we have to shed the baggage for better things. Trust your intuition it will never fail you. this reminds me of a quote I heard a long time ago, when you trust yourself, you'll learn to live. Goethe. Have an amazing week Launna. I know you are up for the challenge and I know that you are strong enough to get through it. Wish I had some other sage advice but I don't have the answers. Just friendship. Hugs. Sorry to hear of the challenges you've been facing Launna. This is a very real dilemma. 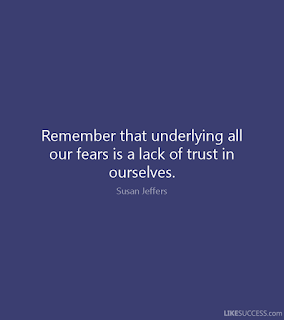 When something happens to question our trust in others, it can really shake our beliefs, and make us scared to trust our own decisions. I also faced a situation in the past six months which made me question someone else's actions, and truly doubt my own ability to make good decisions, as some of the judgements I made earlier had a knock-on effect on lots of other things. 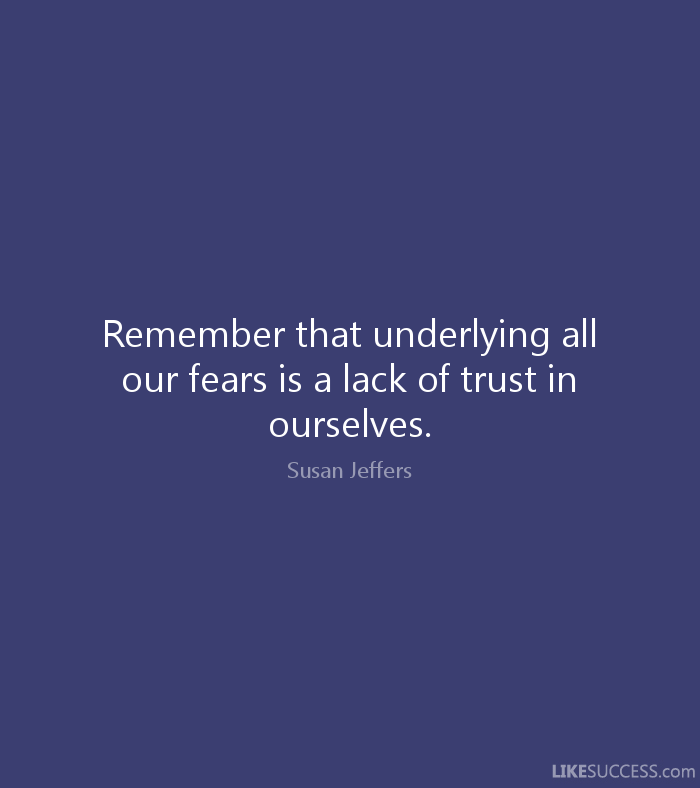 You're right, being in limbo and scared to trust even ourselves is an uneasy place to be. I think you need to recognise that you've learn a lot from past events, so the same things are unlikely to happen and play out the same way. You can apply what you've learnt to your current situation, as you have more insights now. At the same time, you can't be held 110% per cent responsible for everything that goes wrong, as I sense you may be blaming yourself for certain things which can't realistically be all your fault.